Jeremy Workman and First Run Features collects five award winning documentary shorts and brings them together to form a portrait of New Yorkers doing what they love. 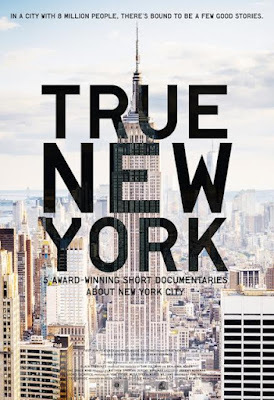 While there have been short film collections before TRUE NEW YORK is the first time that I can remember where several films have been brought together and presented as a single feature. I think it's an absolutely brilliant idea since it makes the films accessible to anyone who normally wouldn't watch a series of separate shorts. The minds behind the collection are to be commended. And I can't recommend the collection enough. Its a stunning portrait of New York and the people who live here. The film is released on DVD and iTunes on the 15th and it's so good that I've ordered a copy for myself. Below are my thoughts on the five films that make up TRUE NEW YORK. In the 1950's The Columbia University rowing team painted a giant C on the rocks over looking the Hudson River. The location has been a pace where guys, and some girls, have been leaping into the river as a right of passage, and fun ever since. Wonderful look at a way of life most people never really think about, except if they see the it from the Circle Line boats. Shot in muted colors resembling faded Kodachrome the film is a concentrated shot of nostalgia. This is a beautiful examination of what it means to grow up,be kids and be with friends. Its all the more special because not only does Jordan Roth show us the kids jumping but he also visits with several adults who jumped (and jump) as well. This is the story of a taxi garage in Queens focusing primarily on Stan the older gentleman who owns the cab company and Spider, a 90 year old driver who drives two days a week. For those who are curious this is a shortened version of DRIVERS WANTED a documentary that I had seen at DOC NYC in 2012. The film was shortened for inclusion in REAL NEW YORK because at it's full hour long length it would have made the collection much too long. All you need know about TAXI GARAGE is that when super storm Sandy hit New York all anyone I know who had seen the original cut was concerned was how was the cab company making out since it is close to the water and the guys in the film had become like family. Even after seeing this shortened version you'll still be wondering how all the guys are. Portrait of Philip Coppola, who has devoted four decades to cataloging, archiving, and sketching every station in the New York City subway system. He has published several books on the history of the subway lines and their decor crediting where he can the look of each one. Much like Jeremy Workman's MAGICAL UNIVERSE about Al Carbee , ONE TRACK MIND is a portrait of a man who is obsessed. Like Carbee Coppola's obsession is one that that seems to be one that we wouldn't or shouldn't be interested in, however the sheer enthusiasm he has for his subject bleeds into his audience. As someone who rides the subways frequently the film has opened my eyes to the look of the various stations. Portrait of Imran Uddin who gave up a life in advertising to go into the family business a halal slaughterhouse. A wonderful portrait of a man who is doing something that means a great deal to him, his father and the community he serves. This is a great look at a slice of life that most of us don't really consider. My only reservation about the film is that since the film concerns life in a slaughterhouse there is a blood. That small reservation aside highly recommended. Portrait of Otis Hudson Jr who performs for motorists along the the FDR Drive. Hudson sits by the road dressed in various ways, talking to, waving and interacting with the passing motorists. Its something that has drawn the attention of various news outlets across the city. This is a great introduction to a really interesting character, the exact sort of person that makes New York so damn special. 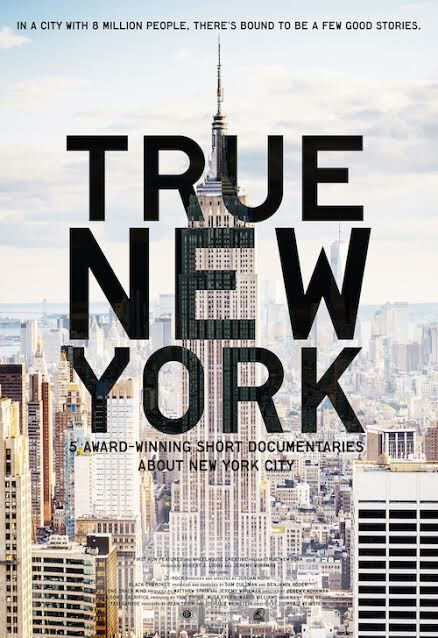 TRUE NEW YORK is released on DVD and iTunes November 15th and is highly recommended.